Aucklanders like the thrill of a flutter. Auckland Casino entertainment, though, is definitely built around the whole wining and dining experience, with the gambling a side attraction. Take in a meal by the harbour, before hitting the tables. Casinos in Auckland revolve around the SkyCity complex in the CBD. Plenty of pubs and clubs have TAB machines and other slot machines, but for serious table action, you're limited to either SkyCity or a couple of other smaller places in Pakuranga and Manurewa. 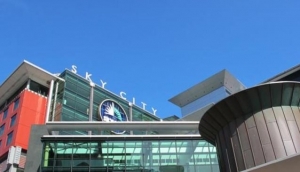 At SkyCity, you'll find dozens of bars, restaurants and, of course, the 24/7 casino tables. 100 tables and 1,600 gaming machines, means there's always some action to be had here. There are Learn-To-Play brochures everywhere, for beginners, and helpful Casino staff to chaperone you through the basics. Seasoned players can just get going, in special VIP rooms for that extra attention, which also include free food and drink. You can also play bingo, watch big screen sports, and join world poker tournaments here. To enter the casino, players have to be over 20 years of age.